Super charge pollination by attracting bees! The more the merrier! 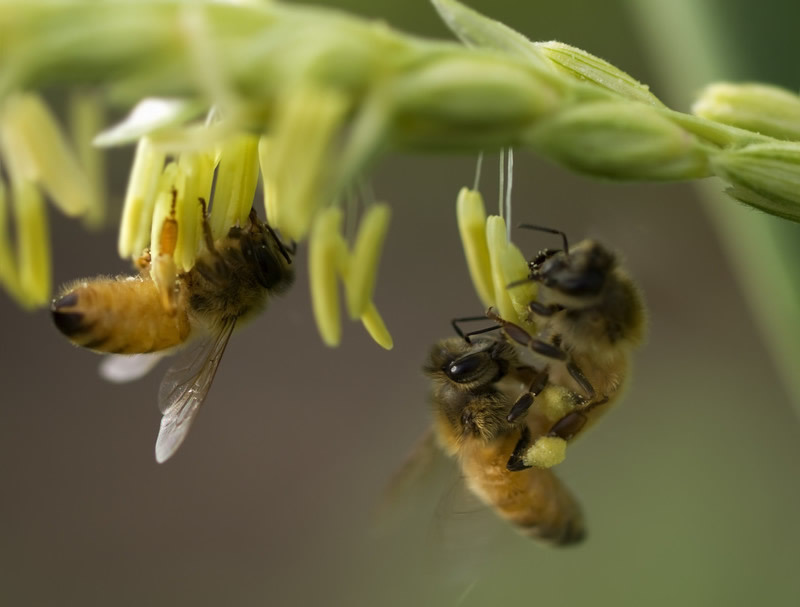 Gardens need bees as pollinators, and in order for them to pollinate your flowers, fruits, and vegetables, you may want to consider the following tips and tricks to attract them and keep them coming back. In order to help bees in pollinating your garden, you should provide a wide variety of plants that will make available a string of flowers that will ultimately deliver nectar and pollen for the bees throughout the entire growing season. 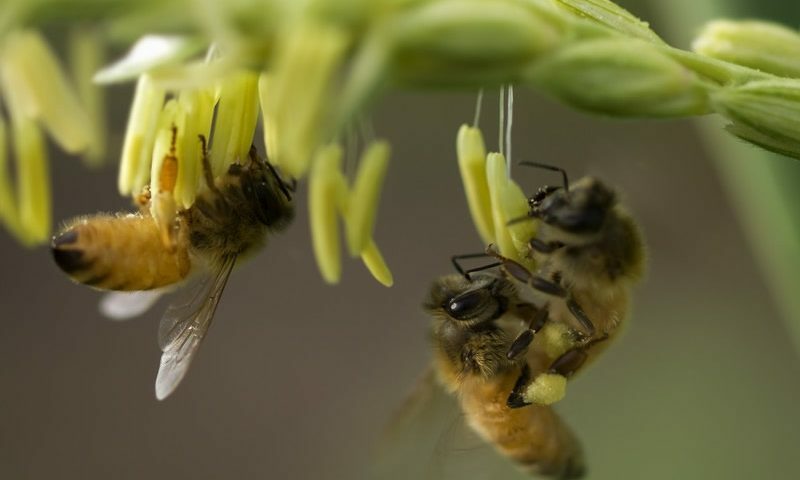 These two components are what bees are looking for, the nectar being loaded with sugar, which is their main source of energy and pollen that is rich in fats and proteins for the bees balanced diet. Use even small areas in your backyard to plant the right flowers that will be advantageous for local bees. Native flowers are generally best for local bees, and they can be used in gardens and wild areas. There are many garden plants that are good sources of pollen and nectar, such as varieties of herbs and perennials. Native flowers that you can plant in your backyard can include aster, black-eyed susan, goldenrod, lupine, Oregon grape, penstemon, elder, purple coneflower, stonecrop, sunflower, and wild lilac to name a few. Most pesticides in the market are not selective. This means that you are getting rid of the pests along with beneficial bugs. If you really have to use a pesticide, buy one that is least toxic and strictly follow instructions on the label. Studies show that native plants are far more attractive to local bees, at least four times more than exotic flowers and they are well-adapted to growing conditions. They can also blossom with minimum attention. Did you know that bees have great color vision? Well, they do and this is to help them locate flowers, whose pollen, and nectar bees need. Usual colors of flowers that attract bees are white, yellow, purple, violet, and blue. Flowers of one species are better clustered to catch the attention of pollinators rather than scatter them in different habitat areas. If space allows, cluster them 4 ft. or more in diameter. There are approximately four thousand or more different bees species in North America. Many have different tongue lengths and sizes so can feed on flowers with various shapes. Hence, more bees will be attracted to a wide range of flower shapes. Have a diverse selection of flowers that can grow during summer, spring, and fall, so you can attract bees whatever season it may be. Since most bees are generalists, they feed on different plants all throughout their life cycle. Plant in spots or areas where bees frequently visit. They also favor sunny areas over shady spots. If you want more in-depth information on attracting bees to your garden, you can consult a professional lawn care service for advice.